December 5, 2013. The day people will remember where they were when they heard the news that global icon, Nelson Mandela, had died at the age of 95. I was sitting in my living room. Working. Well Facebooking when I saw a breaking news status from WRAL out of Raleigh. It confirmed what we all knew was inevitable. Mr. Mandela was no longer with us. Physically. While death surrounds us every day, it is rare that a death engulfs us in a way that news outlets cease all prior projects, CEOs whip out their smart phones to confirm the news and social media erupts in an outpouring of gratitude, thankfulness and love. With my very own eyes, I saw it happen yesterday. Within an hour, #RIPNelsonMandela was the number one trending topic worldwide on Twitter. Within an hour, my Facebook newsfeed was full of statuses with Mr. Mandela quotes. Within an hour, every news station was, for once, focused on something positive: the life of a man who meant so much to so many. Mr. Mandela, like us all, did some things that he was not proud of. On many occasions he openly discussed his past but adamantly stated that he would not change a thing. For what he did lead him to be the person that we saw before us. The person that was full of love. The person that was full of forgiveness. The person that was full of grace. The person that was full of mercy. The person that was full of passion. The person that was full of humility. The person that was full of kindness. The person that was full of dignity. The person that was full of compassion. The person who was full of intelligence. The person that was so full that his only option was to give. A thousand plus words today about a man who showed this world how to live empty would never do him justice. I had always hoped that one day I would be in a position to meet him, just to say thank you. Thank you for showing us how much stronger we can be if we love instead of hate. Thank you for showing us how free we can be if we forgive instead of holding grudges. Thank you for showing us how to be humble when we have every right to be boastful. Thank you for showing us how to lend a helping hand to pull someone else up instead of pushing them down. Thank you for showing us how to smile when we our world around us is crumbling. Thank you for showing us how one life can change a world for a lifetime. 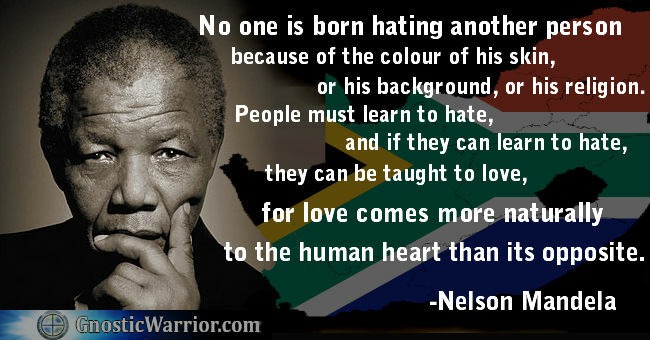 Thank you Mr. Nelson Mandela for fulfilling your purpose in this world. Rest in eternal peace, Madiba.